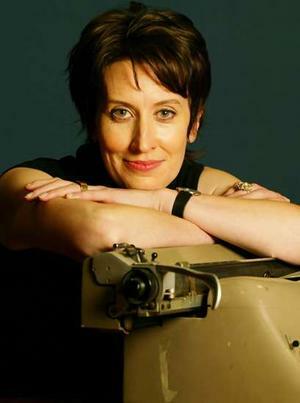 Lateline’s Virginia Trioli (pictured) and Foreign Correspondent’s Peter Lloyd will anchor the ABC’s new TV news program starting on ABC2 in September, Breakfast. From 6am to 10am every weekday, Breakfast will carry news from the broadcaster’s television, radio and online journalists. As previously reported it will include footage of live radio interviews with politicians and breaking international news. It is expected to compete with morning radio, Sunrise, Today and Sky News. ABC managing director Mark Scott has taken a personal interest in developing Breakfast overseeing the ABC’s first purpose-built, 24-hour multi-media newsroom, in Ultimo. “If Sky News can deliver a 24-hour news service with a fraction of the number of journalists working in ABC newsrooms, then it stands to follow that the ABC is capable of producing a 24/7 news service for our audiences: we just need to work smarter to deliver it,” Mr Scott said earlier this year. Broadcast from Melbourne, Breakfast will have a dedicated Canberra political correspondent as well as access to all the other journalists for breaking news. Trioli also appears on the arts program, Sunday Arts. I don’t have info on either, but as a rule I don’t give out email addresses. Try the ABC? ABC 2 Breakfast seems to be building, who is the Producer (during January) and their email address, please advise. Itsross, even though the “average” ratings for sunrise and today seem low, say for example Sunrise gets 380,000 for a particular day, its not the same 380,000 people that are sitting watching it for the whole three hours, so in the course of a 3 hour show, there is probably a million or people dropping in and out of it as they get ready for work etc..so even though, it may average 380,000 for a day, the number of actual people that have viewed it is far, far higher – hence why its such a sought after day part for networks to win.. The Boxcutters had a good point this week, saying that a disproportionate amount of attention is paid to breakfast television when you consider this number of viewers. Why do the stations care about breakfast TV so much? David, you mean the ABC program Sunday Arts not the Channel Nine news and current affairs program Sunday.